Here is a second painting of koi. This time I've added some water lilies. 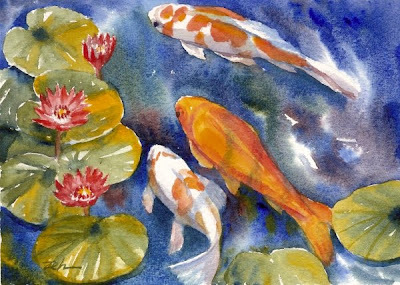 Watercolors are an exceptional medium for this type of painting as the flow of colors makes the water come alive! This painting has been sold. See more of my artwork at zehoriginalart.com. Thanks for stopping by.